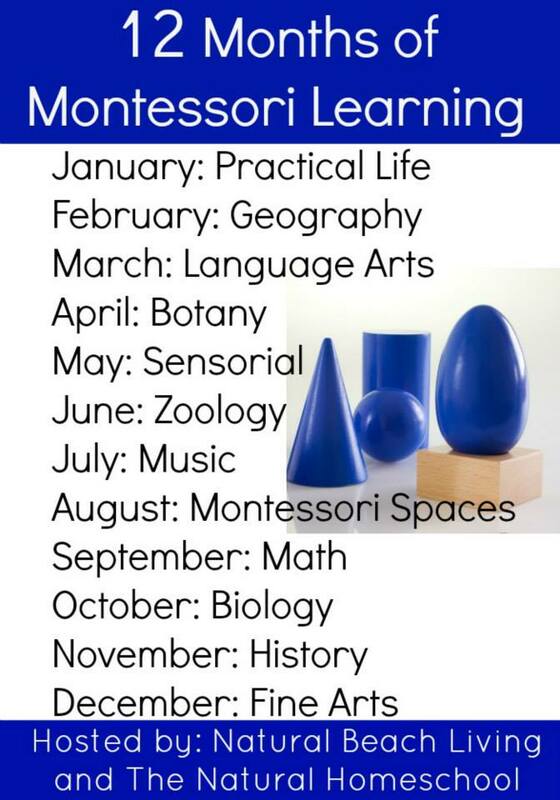 This past week, Little Bee and I enjoyed hands-on learning about frogs for the zoology theme on the 12 Months of Montessori Learning series. 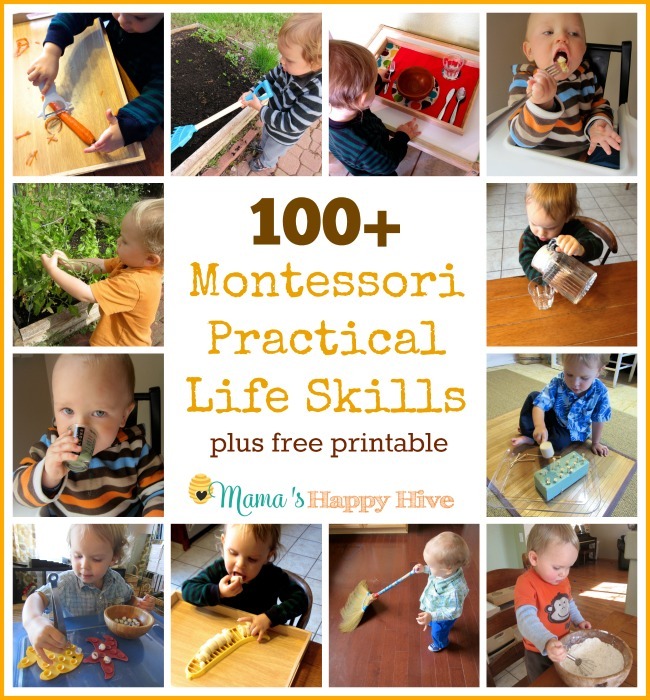 I put together 5 fun Montessori Inspired frog sensory activities for Little Bee to explore. 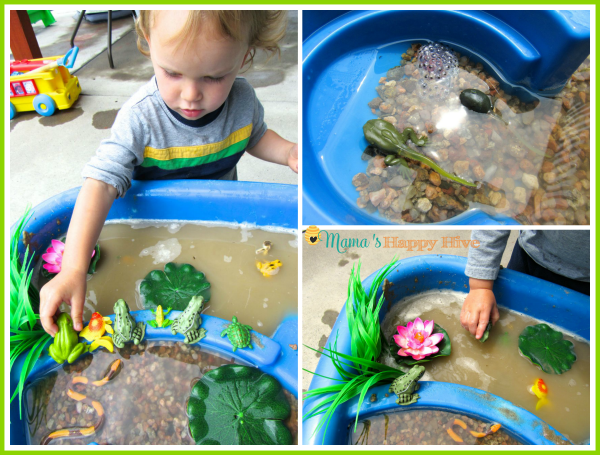 I created a frog pond sensory experience for Little Bee that included the life cycle of the frog. 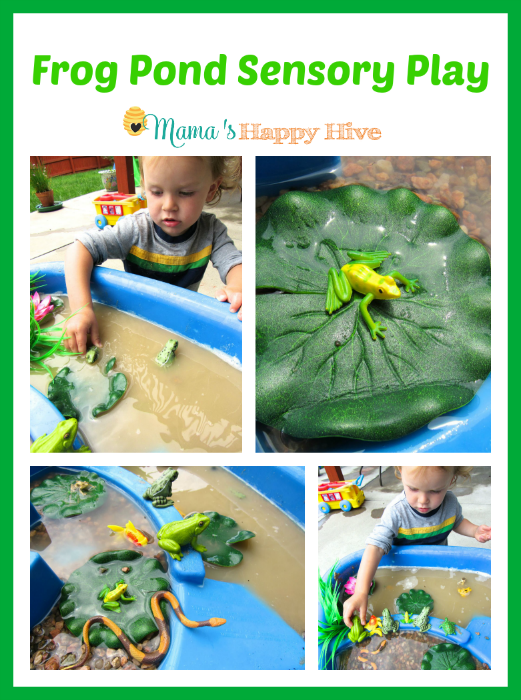 This is a fun activity for toddlers who enjoy messy water play! 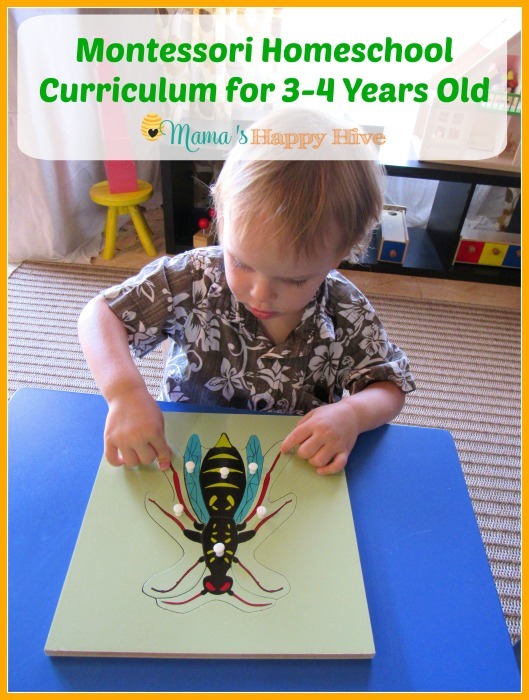 Little Bee loved matching his Safari Ltd Life Cycle of a Frog set to an educational puzzle that we own. (Here is a link to a similar Frog Life Cycle Puzzle.) 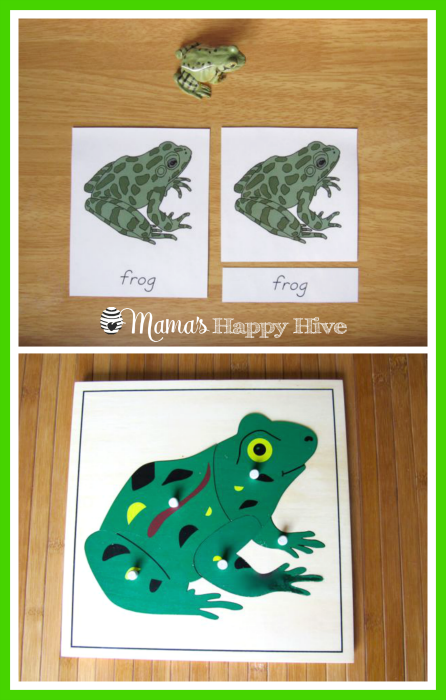 Instead of using a puzzle for matching work with the frog life-cycle pieces, you can also use a free frog life-cycle printable. 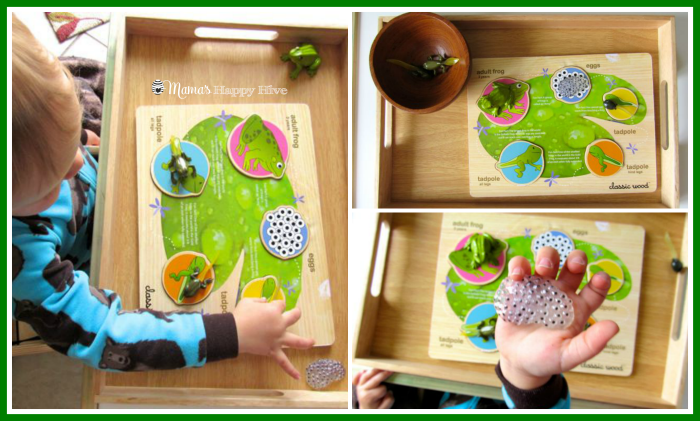 The tactile stimulation of handling the various pieces of the frog's life-cycle, helped Little Bee to grasp the different phases of the frog's life. A wonderful way to learn about the various parts (anatomy) of a frog is by using the Montessori Frog Zoology Nomenclature free printable (three-part card) set. 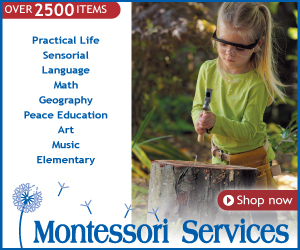 The three-part cards can also be used in combination with the Montessori Wooden Frog Puzzle. 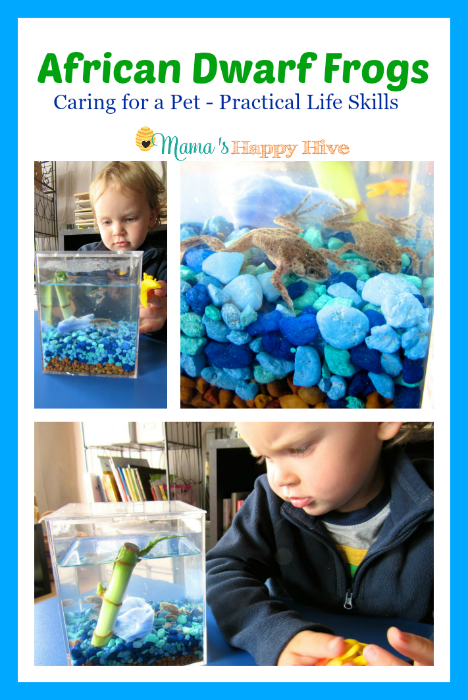 Recently, we purchased a pair of African Dwarf Frogs for Little Bee to learn care taking of a pet. He enjoys watching them swim in their little "pond" and do various yoga stances. Little Bee is able to grasp the concept of the anatomy of a frog by watching the frog in action. 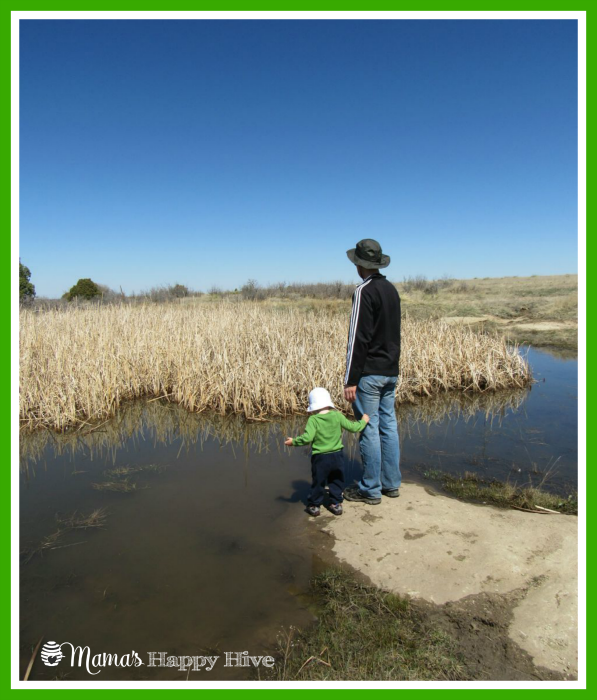 Our family enjoyed a field trip to a local frog habitat at the end of a fun hike. The frogs camouflaged in the photo below, were croaking very loudly. It was a great auditory experience for Little Bee to hear the sounds of "real" frogs singing their songs. 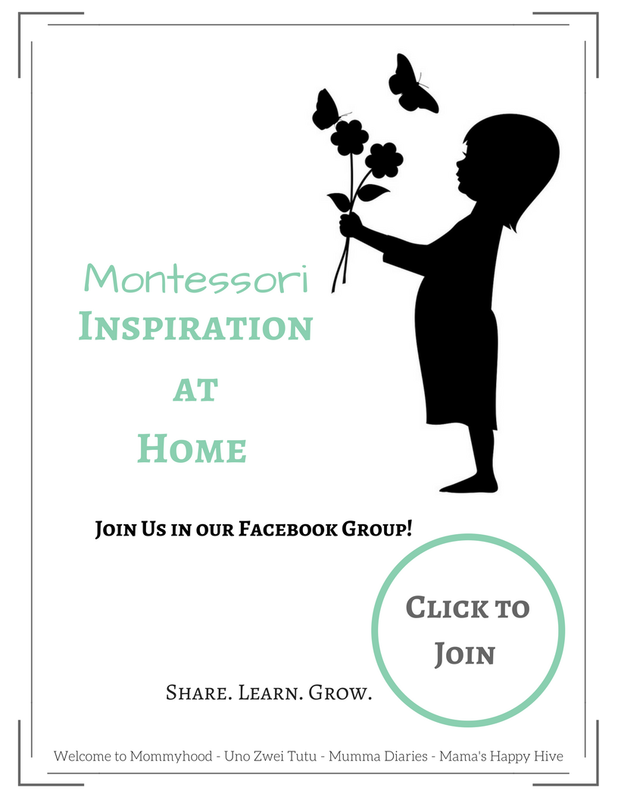 Please visit the following amazing blogs for more Montessori Zoology ideas! 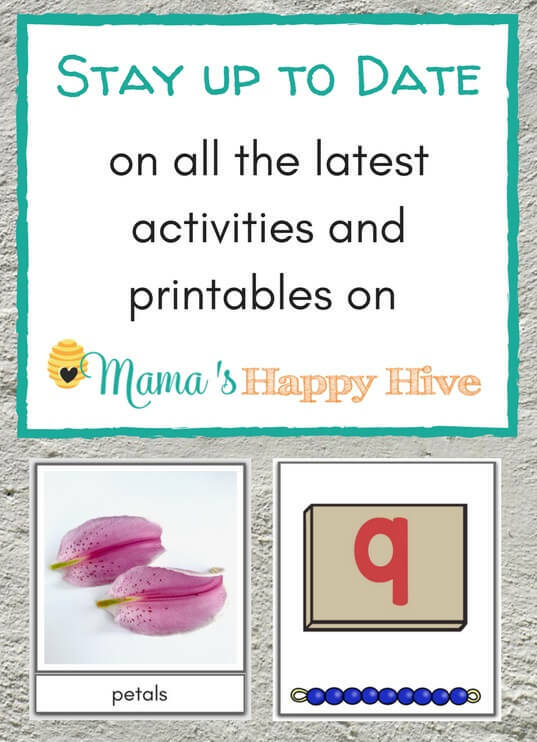 Follow Mama's Happy Hive's board ~ Learn & Play at Mama's Happy Hive ~ on Pinterest. There are so many great ways to study frogs here! 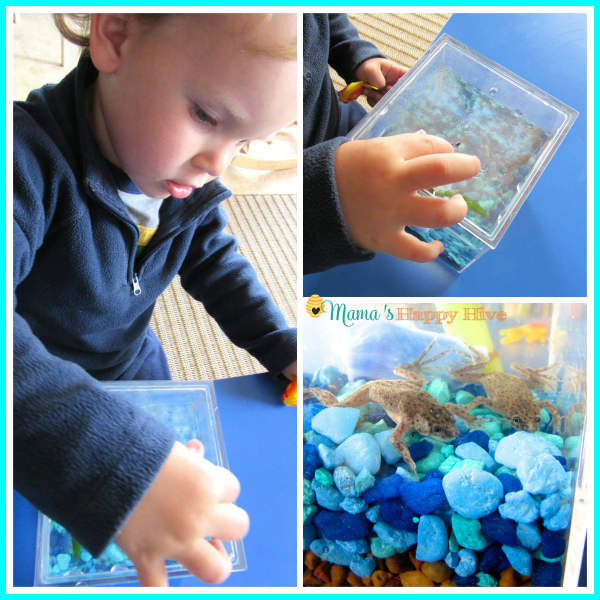 I love how you added so many different sensory experiences to your study and that it took place in and out of the “classroom.” The frogs as pets is quite adorable too. What a wonderful lesson! Boys love frogs. I’m sure he had a blast learning about them! 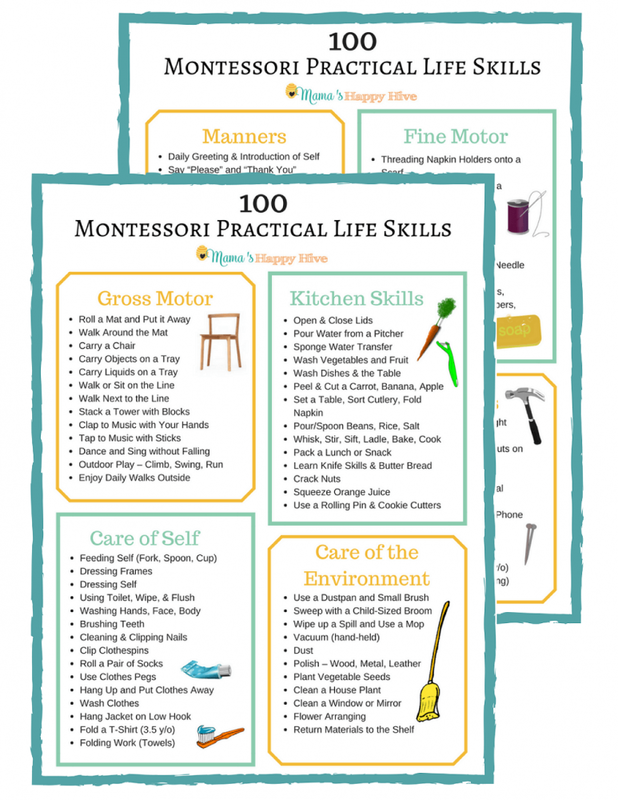 You know, I always underestimate hands-on learning and how much nature can teach young children. I was totally blown away by our learning of snails when we kept a couple at home, and now I see you’ve done it with pet frogs! I know our children will have this with them for life, not just the academics, but the discovery, the care of pets, the “oh-wow” moments … these are the priceless things in life 🙂 I love your frog unit and will have to go check out a creek soon to see if we can spot some! Oh these are wonderful! 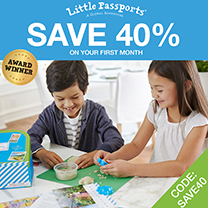 I’ve been debating/delaying purchasing a pet frog for my daughter, and this might be the push I need! I really love the caring for a pet part of this post. My kids have always had the responsibility to car for our dog. It’s just great to see little ones so compassionate for other living creatures. Pinning for sure! 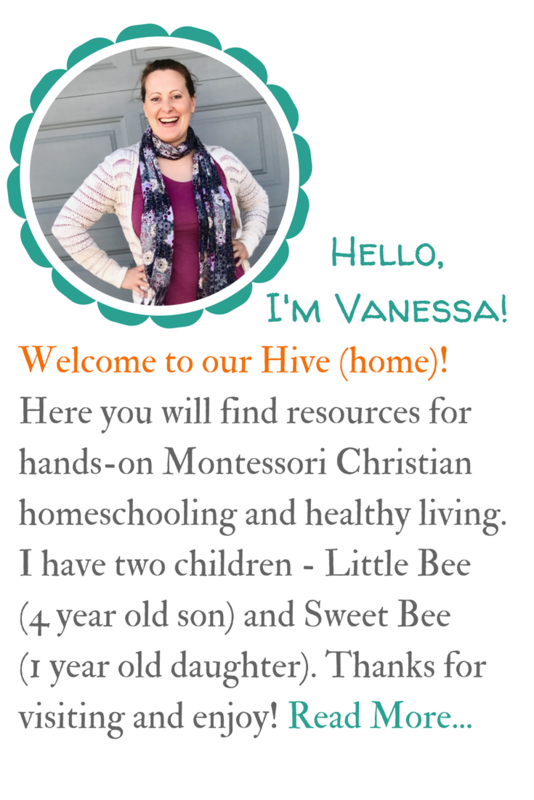 Enjoyed reading this Vanessa. I love all the ideas of your zoology unit study and can be applied to any animal unit. Will be visiting this again in the future for hands-on learning for Vito. 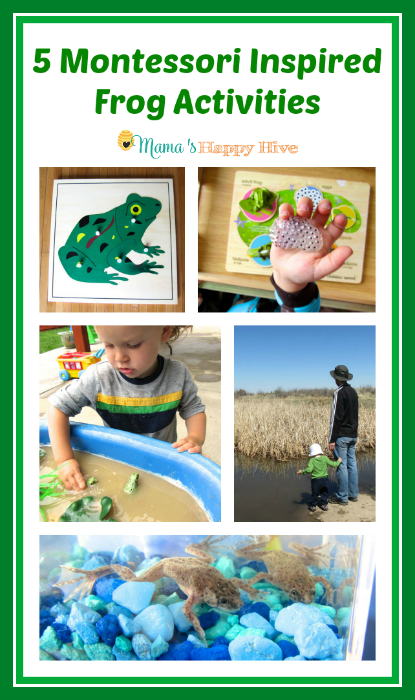 Such a great way to study amphibians and have summer water plat fun at the same time!! 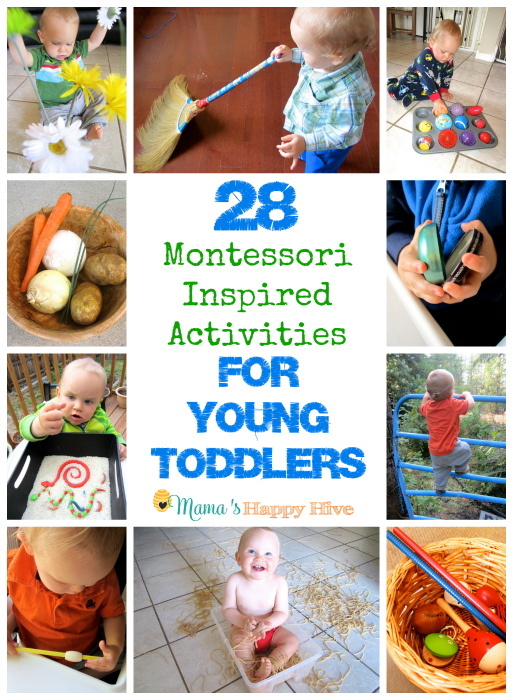 Really good ideas here! I hadn’t thought about frogs as a pet but I’m considering it now! Pinning! This post is really lovely! 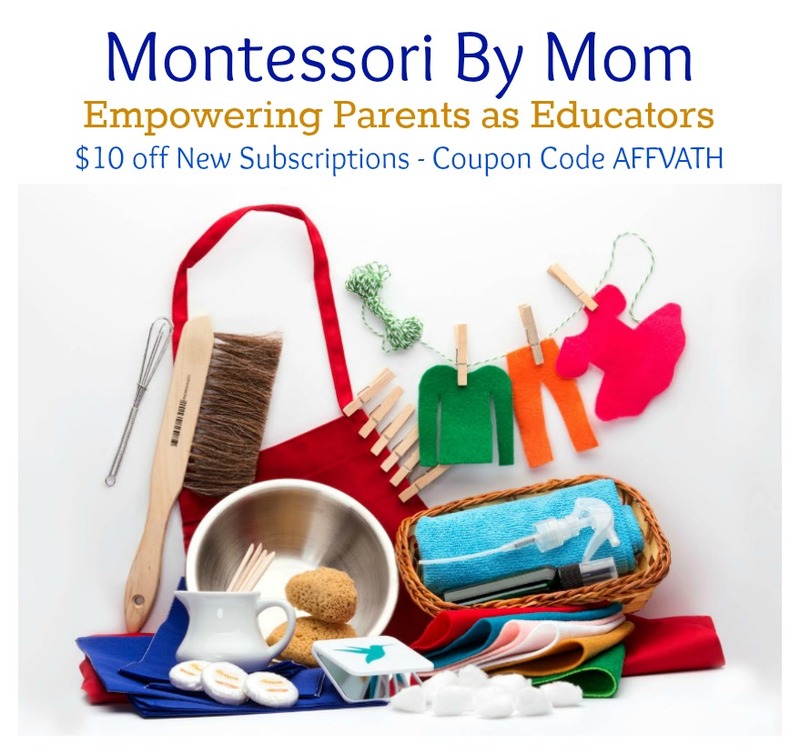 The WOLE CHILD is nurtured and the experiences are authentic Montessori. 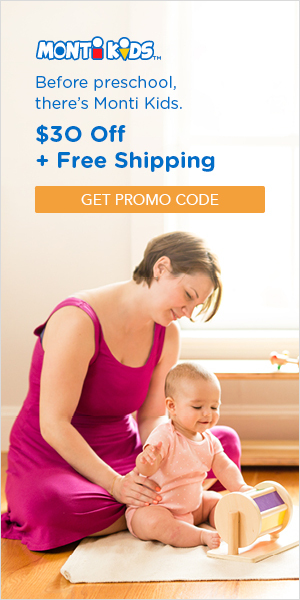 Your photography gave us a glimpse of the wonderment on the part of your child & your life!